Great buck! Good looking boys too. Congratulations all the way around. Congrats! 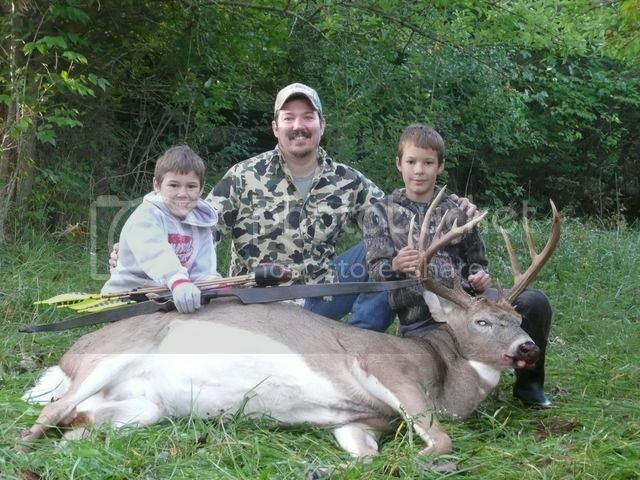 Awesome Buck, do you have any idea how much that beast weighed? I'd guess he was between 200 and 220. What a great buck ! A big congrats to you !! !